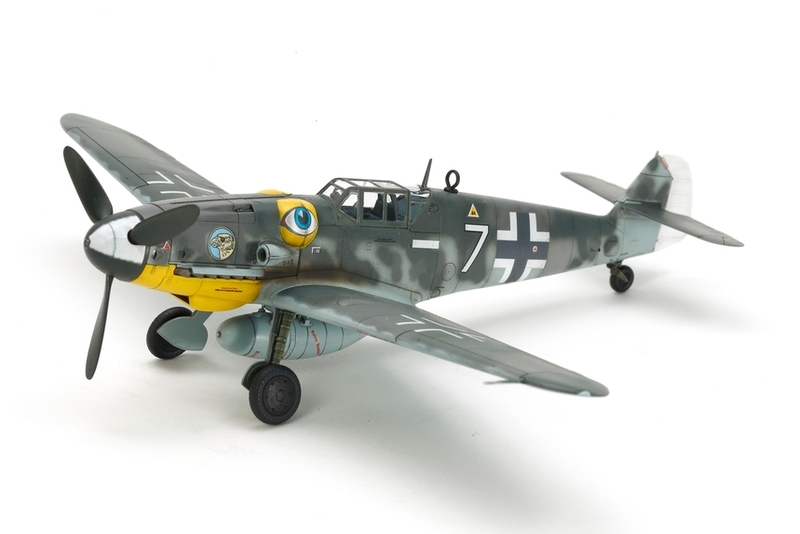 This is a Tamiya model replica of the Messerschmitt Bf109, which was the most prolifically manufactured fighter in history; of its variants, the G-6 was the most numerous at 13,000 aircraft. In response to improving Allied foes in the air, Bf109 G aircraft had the more powerful DB605 engine, and from the G-6 were equipped with dual 13mm MG131 machine guns that required the distinctive bulges on either side of the cockpit cowling known as "Beule." 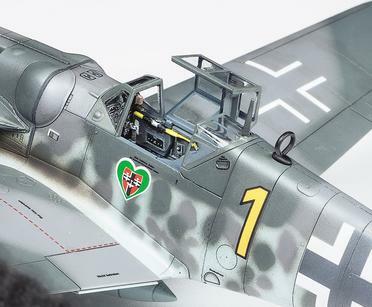 Some were even given a 20mm cannon gondola under each wing for further improved firepower. The Bf109 G-6 was deployed on both the Western and Eastern fronts, in particular dominating Soviet adversaries as it continued in service through to the end of WWII. 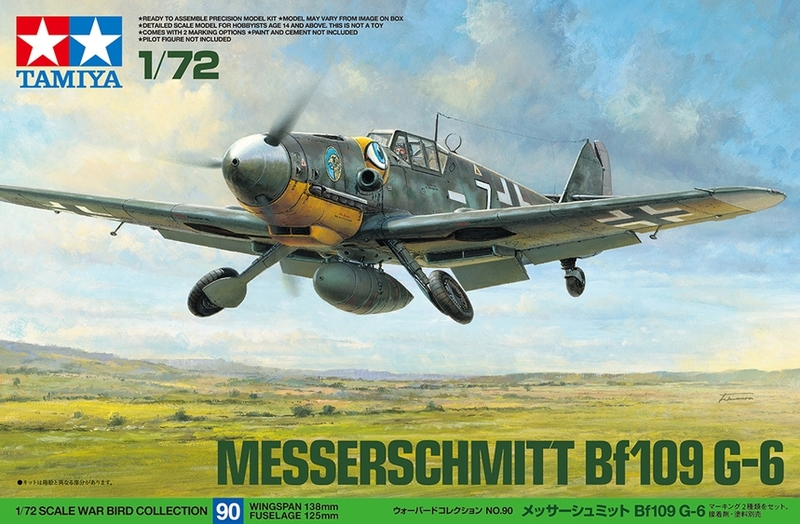 •	1/72 scale plastic model assembly kit. •	The cockpit is inserted after left and right fuselage halves have been put together. It has an accurate interior with streamlined assembly. •	Canopy can be assembled in open or closed state. •	Landing gear struts have a solid attachment point for accurate attachment angle and position. •	Comes with optional drop tank parts. •	2 marking options: JG51 (with distinctive eye marking on the Beule) and JG54.